Whenever my parents are in town visiting, we find ourselves eating breakfast out quite a bit. One of the places we hit serves their own version of blueberry cornmeal pancakes that are as large as the plate. While I like them, I’ve found I can make a similar variation at home that I love a bit more. I enjoy using frozen blueberries in place of fresh because they create a juicer pop when eating. The secret, I’ve learned, is to toss the blueberries with a bit of cornmeal then let them slightly thaw before adding them to the pancakes. 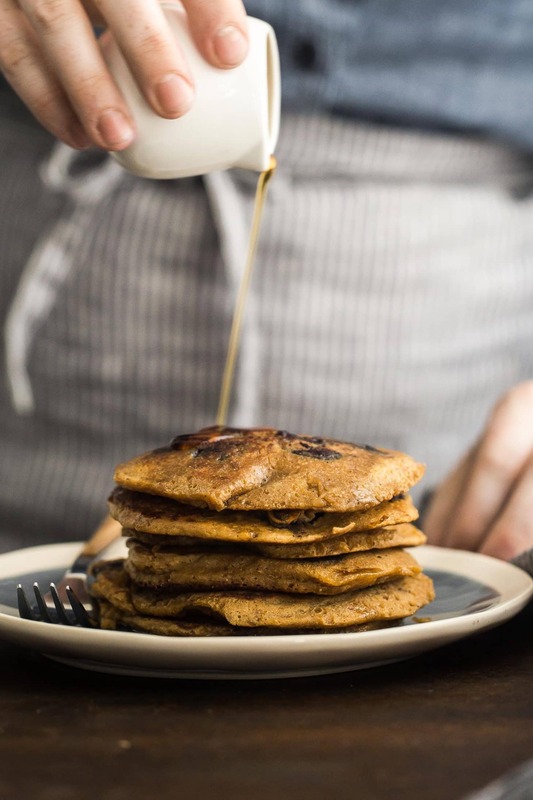 The cornmeal soaks up juice which helps the pancakes to set better while cooking. 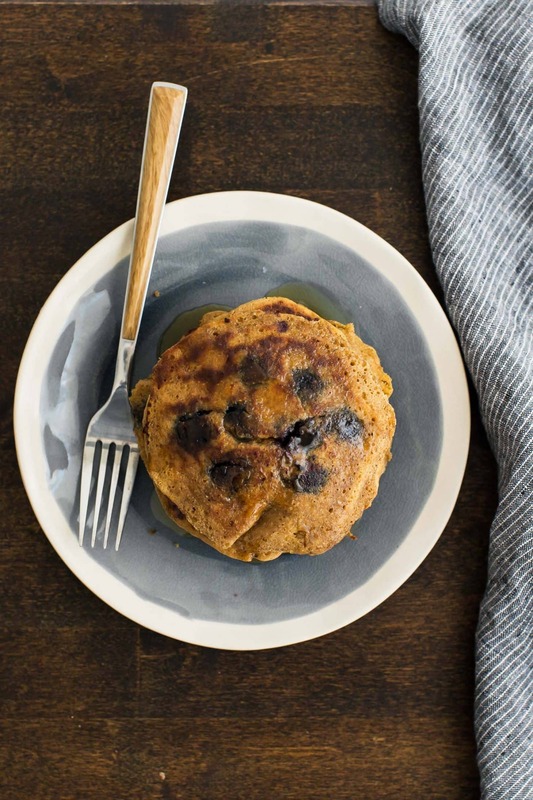 Easy cornmeal pancakes that can be made with fresh or frozen blueberries. In a small butter warmer or sauce pan, heat butter and molasses together until butter has melted. Remove from heat an let cool. Combine dry ingredients in a bowl. Crack in the eggs, measure in the milk and vanilla, and add the cooled butter/molasses mixture. Stir until just combined. Set aside while heating the skillet. In a small bowl, combine blueberries and 2 tablespoons cornmeal. Allow blueberries to sit and room temperature of thaw. If extra juicy, add a bit more cornmeal. Heat a skillet over medium heat. When skillet is hot (if you flick water onto the skillet, it should sizzle), add roughly 1/2 tablespoon of butter. Take about ¼ cup of batter and pour onto skillet. Sprinkle a few blueberries on top. Let cook for 1-2 minutes (until the pancakes begins to bubble slightly. Flip and let cook for another 1-2 minutes until pancake is cooked through. Because of blueberry juice, pancakes may need to cook lower and slower- watch and adjust heat as necessary. Repeat with remaining batter and serve with extra butter and maple syrup. Tips & Tricks: I like to keep berries in the freezer for a treat during the off-season. However, you could easily use fresh blueberries for this recipe. Skip the step of tossing them with the extra cornmeal. I have a pancake problem in that for every weekend, I could come up with a different combination of toppings, fillings, and flours. One of the things I mention in The Homemade Flour Cookbook is that pancakes are a great tester for different types of flours and flour combinations. They cook up quick, can easily be adapted for what you have on hand, and the flavors of the grains go well with many different varieties of toppings. 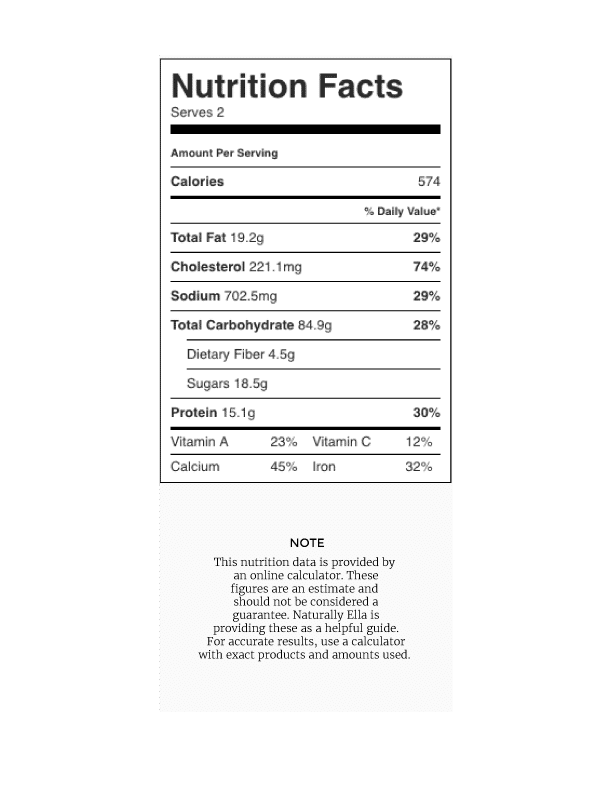 Maple Syrup: I like the molasses in combination with the cornmeal flavor. However, if you don’t want to invest in another sweetener, maple syrup will work just fine. Gluten-Free: In place of the whole wheat pastry flour, use an all-purpose gluten-free flour mix. My favorite recipe for one can be found here. Toppings: One of my favorite combinations is blueberry + lemon. If you have time, make a batch of lemon curd (or pick up some from the store). I’ll use a spoonful of lemon curd in place of the maple syrup is the perfect addition to these cornmeal pancakes. I recently had to tell my husband to slow down on his berry consumption. We keep a stockpile in the freezer for use throughout the year but they always seem to go faster than what I expected. 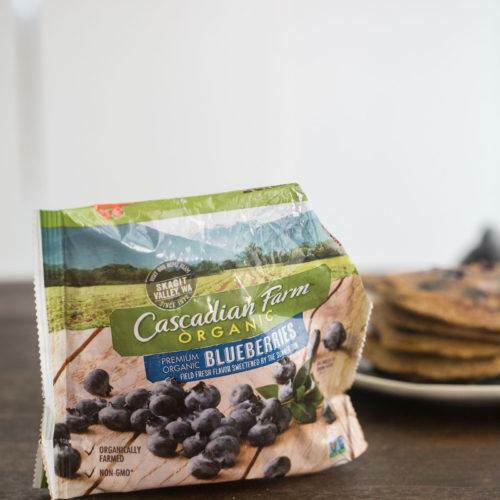 We use blueberries in our morning oats, in our smoothies, and in easy desserts. They are super versatile and we love having them on hand! I love pancakes. 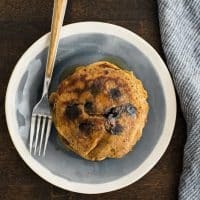 I haven’t seen cornmeal pancakes yet but these look amazing. I will definitely try these. I’m a huge fan of cornmeal pancakes! Blueberries are my husbands favorite berry so this would be a win-win for us! They look delicious! This recipe is makes THE best pancakes. We’ve had them for Sunday breakfast I think about 6 times. Just downed another batch this morning–thanks Erin! Hi, Erin! Is the amount of milk supposed to be 1/4 cup + 2 tablespoons? Thanks! Good catch- that is correct!